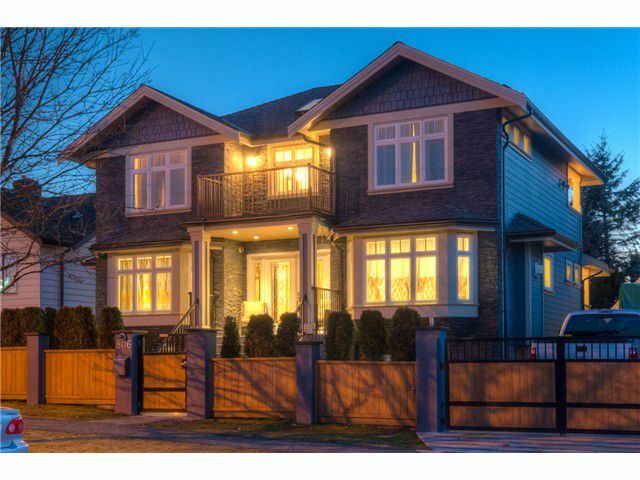 Quality European construction abounds in this well laid out 4 bedroom home with legal suite. Extensive use of oversized Travertine tile flooring and Murano tile accents in kitchen and bathrooms. This home will not fail to satisfy even the fussiest of buyers. Above the main: Three good-sized bedrooms, a large master bedroom with a two-way gas fireplace, and an opulent master ensuite with jacuzzi soaker-tub and separate shower, and a covered outdoor area. Quartz counter-tops throughout, with quartz floor in main upstairs bath. Radient electric heat, and natural gas forced-air heat-pump air-conditioning. Slate ledge stone on front exterior with Hardy board on remainder of exterior. Single garage with loft.